This is a resoundingly delicious wine from Claude Dugat. 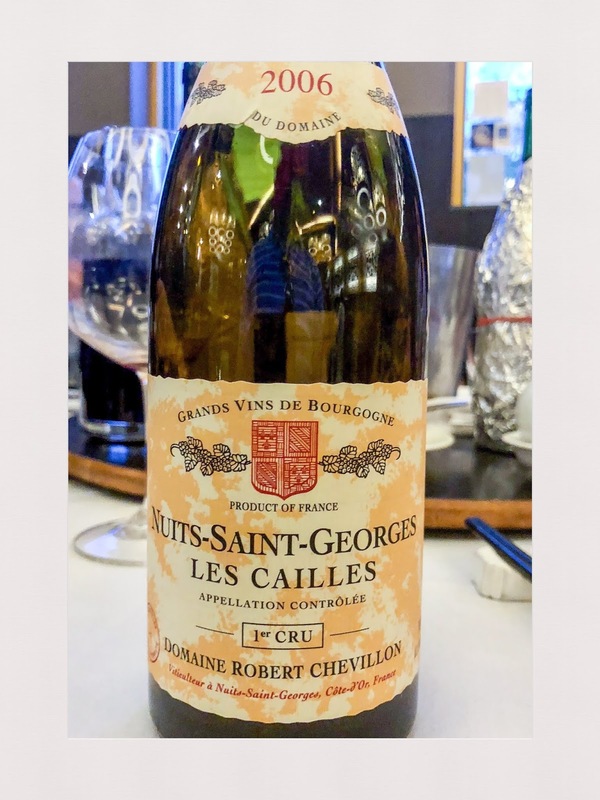 From Lavaux-Saint-Jacques, the biggest of the Gevrey-Chambertin premier cru vineyards at 9.53 hectares and situated immediately south of Clos Saint-Jacques, the wine is quite deeply coloured (for pinot noir) and opens to aromatics of blackcurrants, fruit and violets. The palate has fantastic length, with fresh acidity, tannins and great fruit. This wine can be approached now, but should evolve and improve with a decade in the cellar. Rating: Outstanding. Abv: 13.5%. Price: $300+. Website: na. Tasted: October 2018. A first experience with Chambertin Grand Cru. And hopefully not the last! Although at the prices this appellation commands, opportunities are rare and to be seized upon. But first this most famous of Burgundian appellations deserves some background. Clive Coates The Wines of Burgundy (California Press, 2008) has some great reference material. Chambertin Grand Cru covers a surface area of 12.9 hectares, has an altitude of 275 to 300 metres and consists of limestone soils of Bajocian origin (or middle Jurassic for those, such as me, more familiar with geological periods than their stages). 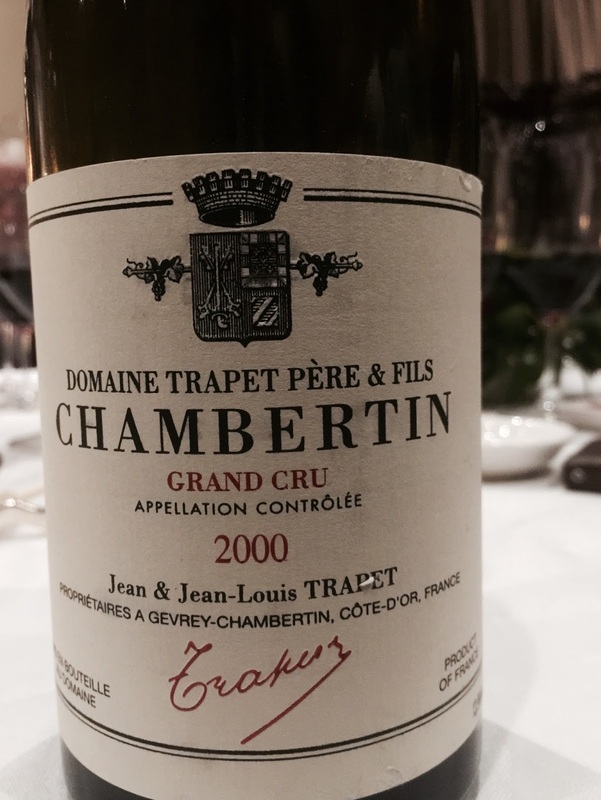 Chambertin Grand Cru is typically described as full, firm and austere at the outset and needs a decade to soften up. Jean and Jean-Louis Trapet, our producer here, are cited as having 1.9 hectares under vine. Tasted blind, my notes were sparse, but emphatic. The 2000 vintage has high toned aromas of cherry, game meats and a backdrop suggesting some volatile acidity. Unquestionably, this is Burgundy, and a great Burgundian wine at that. On the palate, wow and, in case the point is overlooked, wow again. It has long length, deep flavours of cherry and game meats with a complexity and balance that few could challenge. A wine to marvel and savour.